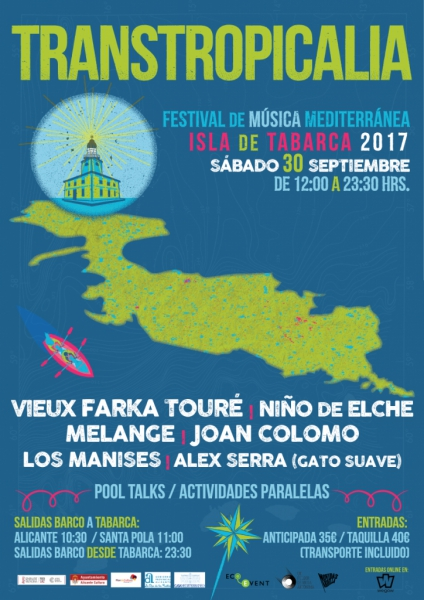 Transtropicalia.Mediterranean music festival on the Isla de Tabarca, September 30 from midday to 11.30pm. Tickets €35 in advance or €40 on the day including the boat trip. Acts include Melange, Nino de Elche and Vieux Farka Toure.